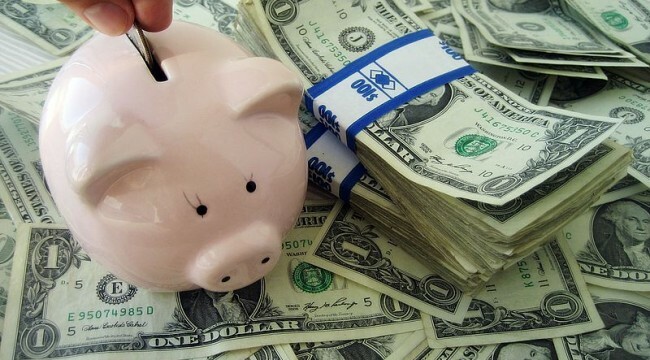 “The Plan That Could Render Your 401(k) Obsolete,” says a headline at the CBS News website. Near as we can tell, the idea first got traction during the 2008 presidential election. Your editor wrote about it at the time for The Daily Reckoning website and has been following the proposal’s trajectory ever since. In October of that year — as the Panic of ’08 had vaporized $2 trillion from Americans’ 401(k) and pension plans — the House Education and Labor Committee briefly considered excluding “high-income” earners from making tax-deferred 401(k) contributions. “With respect to the 401(k), it appears to be a plan that is not really well devised for the changes in the market,” said committee chairman Rep. George Miller (D-California). Then he revealed what the idea was really about: “We’ve invested $80 billion into subsidizing this activity” — meaning to his mind the government had “lost” $80 billion in revenue it would have collected were it not for this high-income giveaway. In any discussion of this idea, it usually begins with Teresa Ghilarducci. 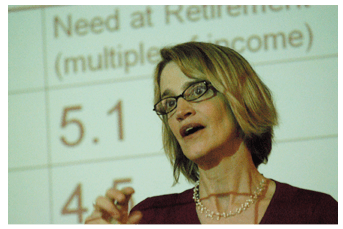 Ms. Ghilarducci is a left-leaning economist at The New School university in New York. She was the star witness at that 2008 House hearing. At the time, zeroing out the tax advantages of 401(k)s for “the wealthy” was only one part of a two-part plan. The second part was a “guaranteed retirement account.” Everyone would be forced to contribute 5% of his or her income to these GRAs — which would invest entirely in government bonds and theoretically return an inflation-adjusted 3% a year. The notion never got out of committee. Congress was too busy at the time passing other awful ideas like the bank bailouts. But bad public policy ideas never die: They just get gussied up in new clothes. And if they can get Wall Street’s blessing, so much the better. Thus, Ms. Ghilarducci is flogging GRAs in 2016 — this time in a new white paper prepared with Hamilton “Tony” James, president of Blackstone Group (BX) — the $17.6 billion strong asset manager. We spent a good chunk of yesterday afternoon poring over the 32-page report. The 2016 model of the GRA proposal differs significantly from the 2008 model. In some ways, it’s more draconian… and in others, it’s more delusional. For one thing, the 401(k) would effectively cease to exist… because no one could take advantage of the tax breaks that come with them, no matter their income. Those tax breaks would be phased out. It’s the changes to the GRA concept, however, that most caught our eye. The 5% forced contribution of 2008 has been lowered to 3% in 2016. More significantly, your “contributions” would not be placed exclusively into government bonds. Instead, your money would be placed in the hands of, for lack of a better term, financial professionals. Note the bar on the right of the following chart: Fund managers assume that because they got an average 8% annual return over the last 25 years, they’ll do likewise over the next 25. Never mind your time horizon to retirement might be something less than 25 years. Never mind the stock market has gone nowhere for the last two years. There’s no compelling reason for it to go up the next two, and it might go down significantly. Never mind interest rates remain mired at historic lows, which destroys the returns from the bond investments in these pension plans. 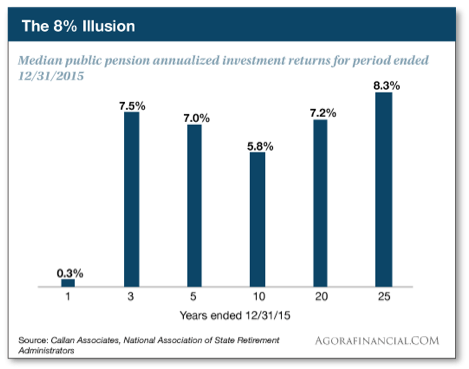 In recent years, public pension funds tried to juice their returns by piling into hedge funds and private equity. Often, the hedgies underperformed a basic S&P 500 index fund. Many pension funds are now bailing — CalPERS, the giant system in California, divested its $4 billion hedge fund portfolio in 2014. How to make up the difference? That same year, California voters were confronted with 140 local proposals to raise taxes — many of them to help maintain the lifestyle to which retired CalPERS beneficiaries had become accustomed. And it’s this rickety foundation on which the “guaranteed retirement account” is supposed to, well, guarantee your retirement. 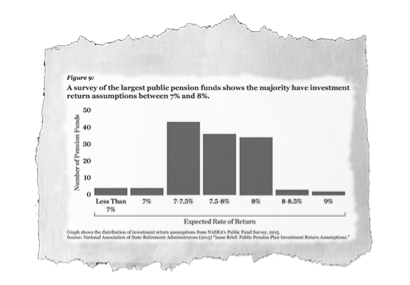 Ghilarducci and James, perhaps sensing not all is well in the public pension world, scaled back the projected annual returns of the GRA from the 8% illusion to “around 6–7%.” And in the event the market goes south, “the government will guarantee that each person retiring has earned at least a 2% return on their savings at retirement,” they write. How comforting. To be clear, none of this has been written into legislation. Yet. But it being an election year, we figure we owe you a warning.